The Orphaned Wildlife Rehabilitation Society (O.W.L.) 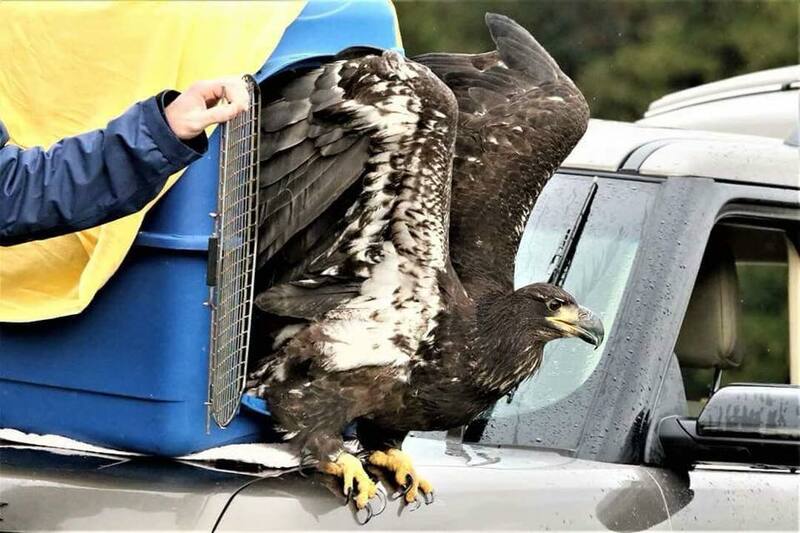 released this handsome young eagle in conjunction with the Fraser Valley Bald Eagle Festival happening this weekend at Harrison Mills, British Columbia. He or she is about 9 months old – and seems very happy to be flying free! 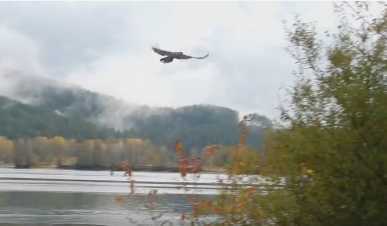 The closeup is courtesy of Linda Tapler and the view of the eagle heading off in search of salmon is from a video by Bob Van Der Vliet – thank you both!